The days in the classroom leading up to Easter are exciting like any other holiday. The children in my class are counting down the days until the Easter Bunny comes and I am trying to keep them engaged. Some days it feels like I am fighting a losing battle. So why not use Easter Eggs to keep them engaged? 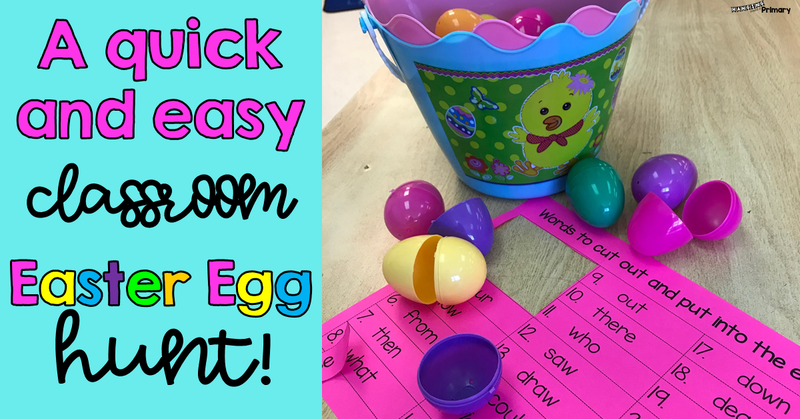 Read on to learn about a FREE and straightforward classroom Easter egg hunt. Gather up 24 plastic Easter eggs to use for your egg hunt. Step Three: Customize the resource. 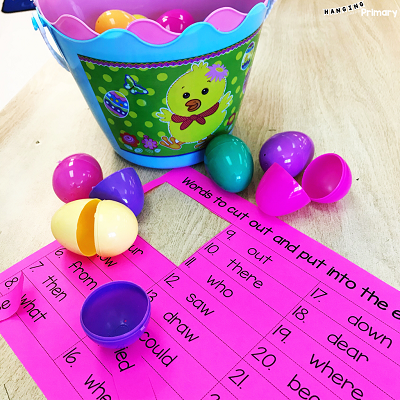 The file included has a set of sight words that would commonly be found on a word wall in first grade. However, because all classrooms vary, I have also included an editable file. ***Download the file and then open it up from your desktop into Adobe or your PDF reader. 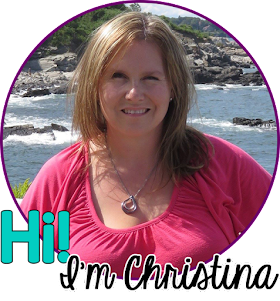 *** Here you can type in any words you want to use: sight words, word family words, vocabulary words, math words. What you use is entirely up to you. Print off the list of words you have created or the included list and put one inside of each egg. Step Four: Hide the Eggs! 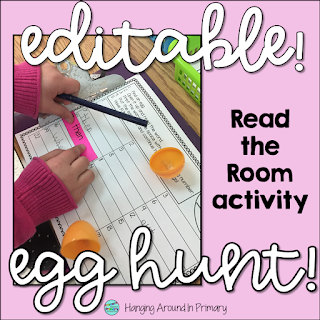 Copy the word on the recording sheet beside the number that is written beside the word on the egg. You MUST put the egg back where you found it for someone else to find! This one is super important because afterwards, you want to gather up all the eggs. Each year I have a few industrious bunnies who re-hide them, and I can't find them. After our egg hunt, I always have a little treat for them. You can decide what that might be. I usually do chocolate eggs, but for those that can't do candy then mini erasers or pencils are a good option too. I hope you enjoy doing this with your class. It is a hit in my classroom every year!